Before you went on maternity leave, you were a loyal, dedicated, and hard-working employee in a job that you loved. But then you gave birth to your beautiful baby, and, well, things have changed. You’re so in love with your little one that you can’t see straight, but you also miss the office—and adult conversation, too! So why are you a conflicted, weepy mess? 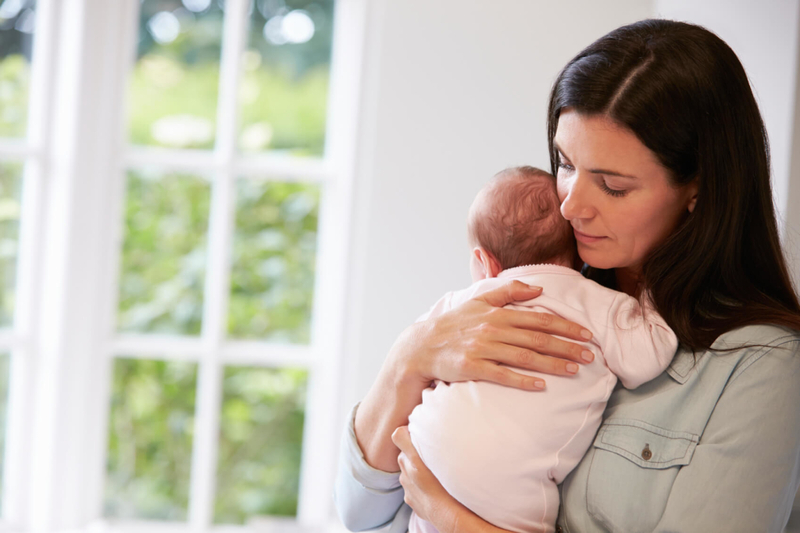 According to PostpartumProgress.org, approximately 10 to 15 percent of women suffer from postpartum mood disorders (PPMDs), including postpartum depression (PPD), postpartum anxiety/OCD and postpartum psychosis. Chalk it up to hormones, excitement, nerves, stress, and a serious lack of sleep (or a combo of all the above), and many women find themselves in the throes of PPD. Thing is, when you work in an office, it can be much harder to deal with postpartum depression. That’s why for many new moms suffering from PPMDs, work flexibility is critical. Here are just a few ways work flexibility can help. It helps you to maintain your professionalism. Imagine it’s your first day back at work after your maternity leave has ended. Right after you redecorate your office with framed photos of your wee one, you head straight into the bathroom and bawl your eyes out. It can be hard to deal with your pendulum of emotions as it is without adding the pressure of work to it—and the prying eyes of catty coworkers and a nervous boss who’s afraid that he might have lost one of his top team players to parenthood. Being able to work remotely means that you can get your work done without judgment. If you are bleary-eyed from lack of sleep, you don’t have to slather concealer on under your eyes (unless you’re going to have a videoconferencing meeting later on that day). Although it’s always recommended to get dressed when you work from home, wearing your PJs for a few days straight might offer you some comfort that your tired body needs. And most importantly, you can work on your schedule—or more importantly, your baby’s schedule, particularly if you’re nursing or on a pumping schedule. Because pumping your breastmilk in a company’s bathroom is just really, really icky. All of this allows you to focus on what matters most, your work and your baby, without having to worry about anything else. It allows you time to heal—both mentally and physically. Let’s face it: giving birth is not for the faint of heart. It’s a grueling process that can take some women days, weeks, or months to recover from. The effort alone of trying to get dressed into your pre-pregnancy clothes (which most likely isn’t going to happen) and have some outward semblance of professionalism can be Herculean at best. And that doesn’t even count stuffing your sore body into a crowded train or bus as you commute into the office. When you work from home, though, your commute comes down to mere seconds as you walk to your home office, turn on your computer, and wait for your third cup of coffee of the day to be ready. Plus, you’ll feel more relaxed, because you won’t have to contend with a hellish commute. Sans stress, you’ll be able to be more productive, even starting your work day earlier or working later, depending on your baby’s sleep schedule, without skipping a beat at work. It helps you to bond with your baby. Flexible work comes in many shapes and sizes. While there are full-time telecommuting jobs, there are also part-time jobs, compressed workweek schedules, job shares, and freelance and contract gigs. Depending on the type of flexible job you have, you’ll probably be able to spend lots of quality time with your baby and still balance work. Even if you have to hire a nanny or someone to watch your little one as you finish a report or attend an online meeting, you’ll still stand to spend more time with your baby than someone who works in an office all day long. Being able to work and also have your baby right there to snuggle with can not only foster a beautiful bond between the two of you, it can also aid in your healing from postpartum depression as you realize that you can be both a strong career woman and an amazing momma, too. Work flexibility helps people from all walks of life, but in particular, it is ideal for working parents. Taking advantage of a flexible work schedule after the birth of a baby is a win/win, since it can help working mothers stay in their careers and still care for their babies, too.